Did you know how route planning came about? In 1959, National Medal of Science-winning mathematician George Dantzig and another researcher, John Ramser, published “The Truck Dispatching Problem”. It included the very first algorithm for optimal route planning. Basically, route optimization is the process of using complicated math stuff to find the most efficient way to visit a given set of addresses. This has practical applications for courier companies, delivery services, and every other business that sends employees out to meet with customers. 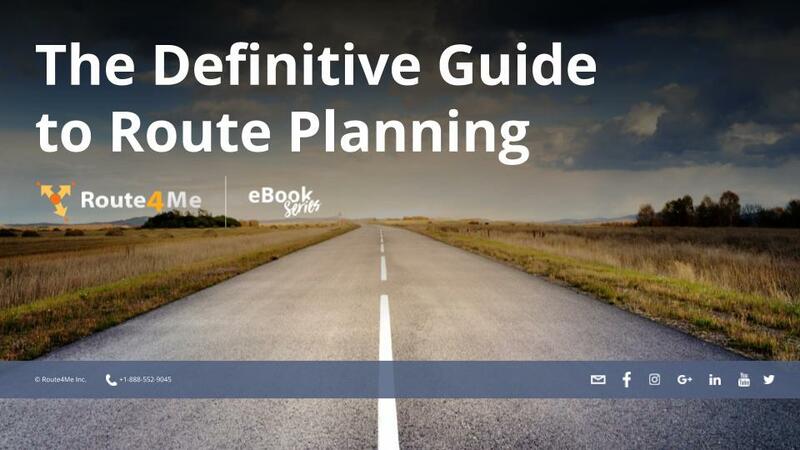 From start to finish, route planning with Route4Me is easy! First, upload the addresses of your customers. Next, if an address has been flagged for review, confirm it is correct or fix the mistake. That’s it! Your optimized route will be ready in 30 seconds or less. UPS saves hundred of millions of dollars every year by avoiding left turns. Whenever your driver goes to take a left turn at an intersection, there is no telling how long they will need to wait. Unless they have an arrow, they will not have the right of way. All that idling is a huge waste of time and gas. You will be better off avoiding left turns altogether. Route4Me allows you to take the left turns (and U-turns) out of your routes with just the press of a button. If UPS does it, maybe you should follow suit. There are probably some places in your service area that you want to avoid. Maybe there’s a tough neighborhood where drivers often get carjacked, or a particularly busy intersection that always seems to slow your drivers down. With Route4Me, you can draw avoidance zones over a real world map. After you do that, our software will design routes for you that are efficient as possible while avoiding those areas. With avoidance zones, you can go where you want to go and avoid what you want to avoid.